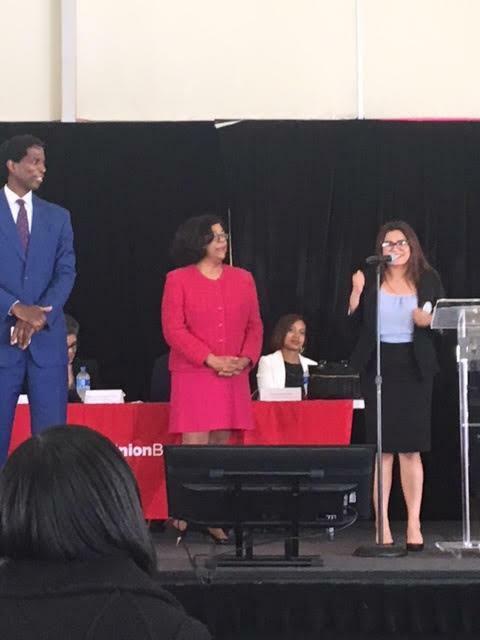 On May 10th, RISE senior, Gennesis Laguardia, participated in a business plan competition sponsored by Union Bank and others at LATTC. There were 15 teams from places like Crenshaw, View Park, Washington Prep, Brotherhood Crusade, Manual Arts, and of course, RISE. The first place prize was $5000, 2nd place was $2500, and 3rd place was $1000. 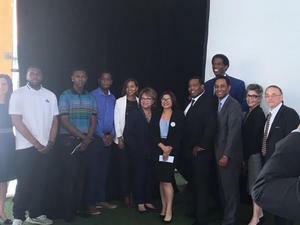 Judges of the competition included industry and business leaders, NFTE members, former NBA player AC Green, LATTC professors and leaders, and representatives of the small business administration, and a former city council member. Gennesis won 1st place! She impressed judges with her business, The Barn, by having a thorough business plan that was realistic and socially responsible. Each team had 3 minutes to pitch their business with 1 minute for questions and she absolutely nailed her pitch.